A must for littel kings and queens! 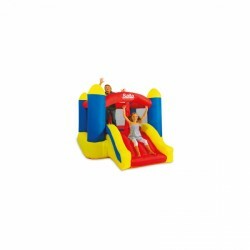 The Salta bouncy castle The Castle Jump and Slide is a great garden toy with a high fun factor. It is focussed on quality and safety. The high-quality PVC material is very sturdy, hard-wearing, and durable. The jumping surface is surrounded by a safety net. Suitable for children from the age of three. 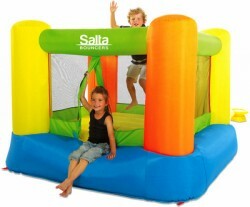 The Salta bouncy castle Jump and Slide offers space for one to two children and is surrounded by a safety net. The bouncy castle is equipped with a little slide at the exit and offers additional space to play. 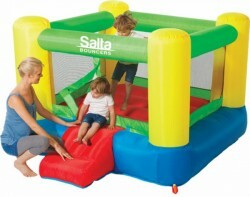 The Salta bouncy castle Bouncer is a high-quality outdoor toy. This bouncy castle is inflated two minutes and offers sufficient space for two children.